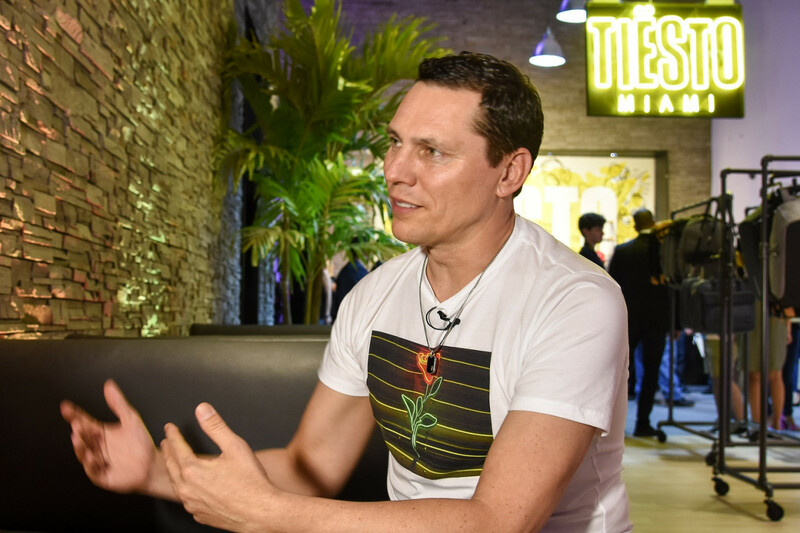 Marquee Singapore, which is set to be the Republic's largest nightclub, will have superstar DJs Tiesto and Afrojack spinning on its opening weekend next month. The two Dutchmen are considered to be among the biggest names in electronic dance music (EDM), with both also having helmed top EDM festivals here. Tiesto is set to play on April 12, while Afrojack will play on April 13 with a special guest performer who is yet to be announced. In a statement yesterday, the club said this will be the first of "back-to-back weekends featuring some of the world's top DJ talent". Limited pre-sale tickets for the opening weekend, priced at $20, went on sale online from yesterday at marqueesingapore.com. Tickets are not inclusive of the booking fee and drinks. Online tickets were sold out by yesterday afternoon. However, tickets priced at $28 for women and $38 for men will still be available at the door and come with one drink. Entry is only for those aged 18 and above. Marquee Singapore, located within The Shoppes at Marina Bay Sands, boasts an eight-armed indoor ferris wheel and a three-storey slide in the 2,300 sq m space. The mega club is part of Tao Group's efforts to expand into Asia and adds to Marquee's New York, Las Vegas and Sydney outlets. Tao Group is considered one of the United States' leading nightlife, entertainment and dining businesses.